You can expect the height to reach somewhere within this estimate. It is given as a guide but can vary dependant on several factors such as soil quality and position. For Conifers and Trees this may be the height in 10-20 years, eventually the plant may exceed this height. You can expect the plant to spread somewhere within this range estimate. It is given as a guide but can vary dependant on several factors such as soil quality and position. For Conifers and Trees this may be the spread in 10-20 years, eventually the plant may exceed this. Flowers come in a vast variety of colours from pure white to almost black. Colour can be affected by a number of factors including environment and diet. Use the photographs as a guide and expect variations. A plants development is synchronised with the changing seasons and flowering is one of several changes that occur at the appropriate time of year dependent on the specific plant. While our meteorological seasons are defined by specific dates; there can be two or the weeks difference in the start and end of the horticultural 'season' between the north and south of the UK. Plants that have leaves all year round are classified as evergreen. They can however lose leaves sporadically throughout the year. Deciduous plants drop their leaves in autumn, look bare in winter and put out new leaves again in spring. Some plants such a Beech retain their dead leaves until the new spring growth. There are exceptions, some plant drop their leaves in cold winters but keep them if it is mild. These are classified as Semi-evergreen. 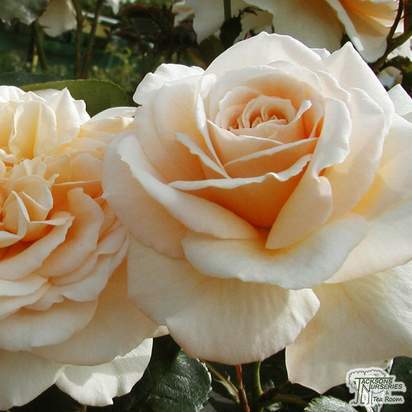 For plants that are fragrant the level of fragrance may vary, results may improve by planting in larger blocks. The fragrance may come from flowers or foliage. Growth rate of a plant will determine how fast the plant reaches it ultimate height and is affected by four main factors: temperature, nutrients, light, and water. We offer the following as a very rough guide. Six or more full hours of direct sunlight but don't forget to water. Two or three hours either in early morning or late evening sun. Very limited exposure to midday sun. Usually no more than two hours direct sunlight. Usually under dense trees, shurbs or in shade cast by buildings/fences etc. Well-drained soil allows water to percolate through reasonably quickly without pooling. 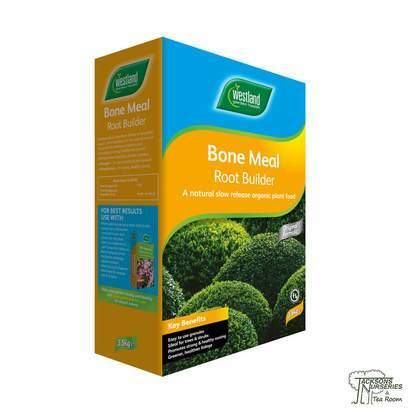 Well drained soil can often be dry and lack nutrients. Poorly Drained soil is usually saturated periodically during the growing season and remains wet for several days at a time. Saturated soil can deprive roots of oxygen. A moist well drained soil is the best of both worlds by combining high permeability with the ability to retain moisture. Adding well rotted organic matter to dry or wet soil will help improve both these characteristics. 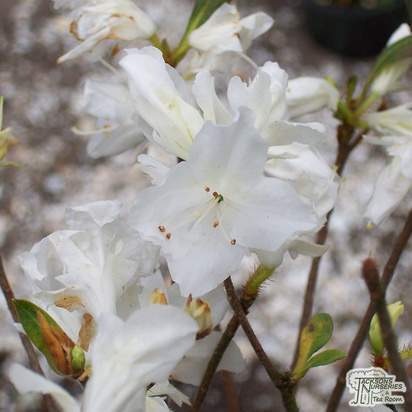 Soil with a pH between 1 and 7 is classed as acid, ericaceous plants such as Rhododendrons need acid soil. 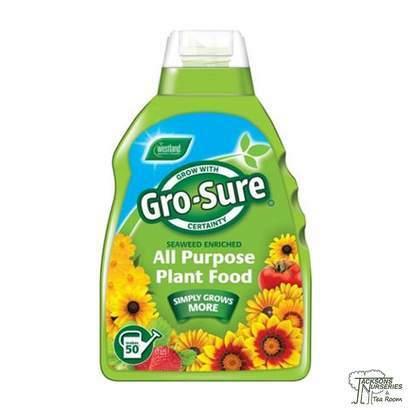 A neutral pH which is around 7, will be suitable for most plants. Clay soils tend to be neutral. Soil with a pH between 7 and 14 are refereed to as Alkaline. Chalky soil is usually Alkaline. Chalky or lime-rich soils may be light or heavy, largely made up of calcium carbonate and are very alkaline. Clay soils are potentially fertile and hold a high proportion of water. They drain slowly and take longer to warm up in spring. Loam soils are s mixture of clay, sand and silt that avoid the extremes of clay or sandy soils. Fertile, well-drained and easily worked. Sandy soils have a low clay content, drain quickly, easy to cultivate and work. They can dry out quickly and are low in plant nutrients. Often very acidic. 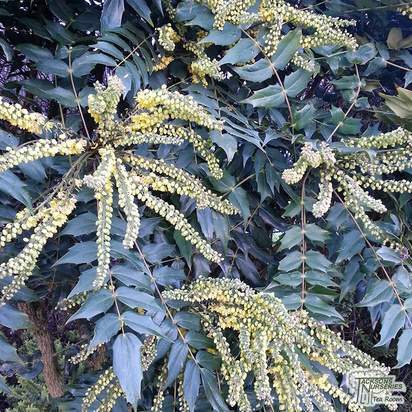 Tall spikes of yellow flowers, with a fragrance similar to lily-of-the-valley, appear in late autumn and last right through to late winter/early spring, making Winter Sun not only one of the earliest but also one of the longest flowering varieties of Mahonia. The evergreen rosettes of dark green, holly-like leaves create a bold statement throughout the year. The flowers are followed by purple berries, much loved by many garden birds. 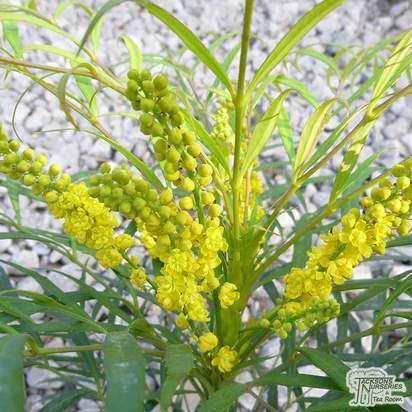 Mahonia Winter Sun thrives in shade and partial shade but copes well with full sun. The foliage is most lush on sheltered sites but it grows well on our nursery in pots and in the open ground, 650ft above sea level on the edge of the Staffordshire Moorlands. It works well as an architectural plant in a border of low growing shrubs and roses but also when block planted for effect. 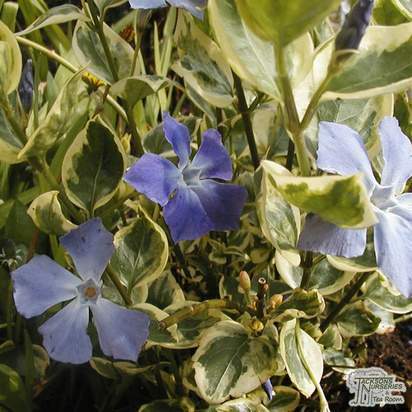 Easy to grow and requires little maintenance except for pruning out any old dead wood and potash feed. 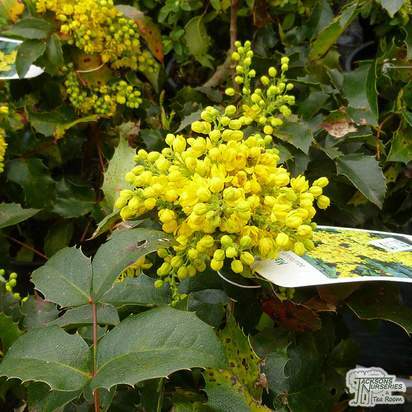 Mahonias are not fussy about soil as long as it isn't waterlogged and are relatively slow-growing. 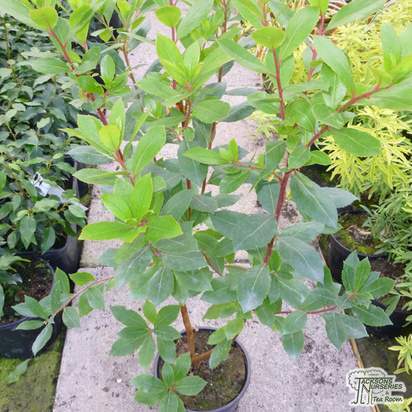 At Jacksons Nurseries we sell a variety of shrubs both evergreen and deciduous with a variety of flowering times throughout the year. 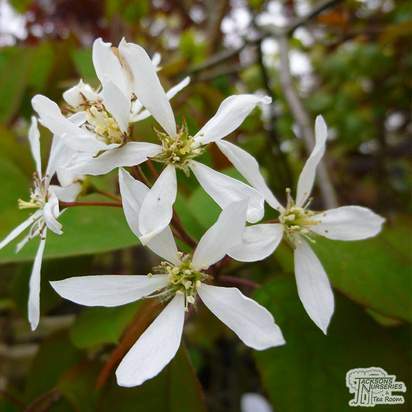 At certain times of the year our shrubs you buy from us may not look like the images shown on our website when deciduous leaves have fallen, the shrub has finished flowering or has been trimmed back. Some leaves on evergreen shrubs can be damaged in winter by frost or harsh winds but in spring new leaves will readily replace those damaged. This is quite normal on many evergreen varieties and is preferable to plants grown with excessive protection that show cold shock once planted out and establish less satisfactory initially. Shrubs are deciduous or evergreen woody plants, and often provide fragrant flowers, berries and foliage. They are good for structural framework, and they can provide a wonderful shelter and food source for wildlife. 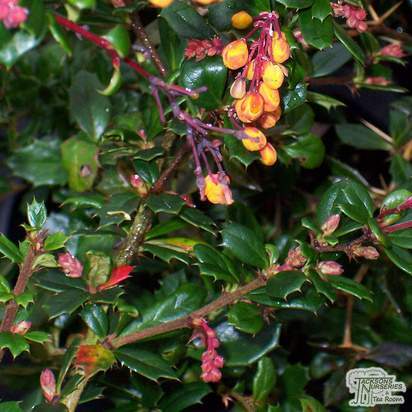 Container grown shrubs can be grown at any time of year. 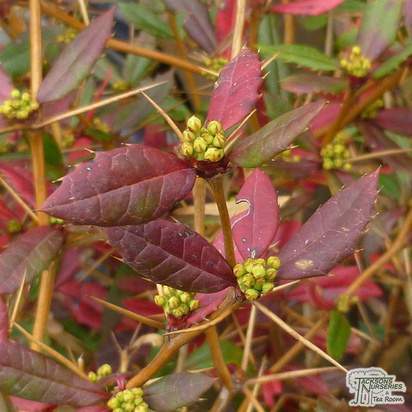 It is a little known fact that shrubs planted in the autumn and winter will be easier to look after than those planted in the spring and summer, because they will have time to establish and become hardy in the cooler months. 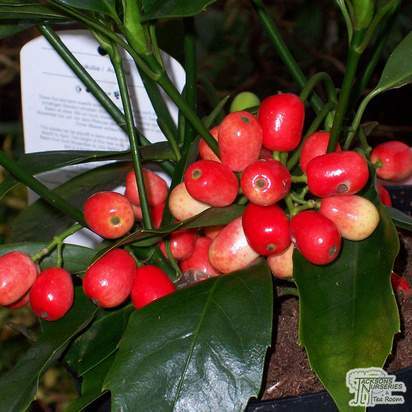 Plant the shrub at the same depth as it was in its original pot. Planting too deeply can result in root and stem rot. One of the biggest causes of death in new shrubs is drought stress, so keep it well watered until it’s established. Make sure you loosen the soil prior to planting. 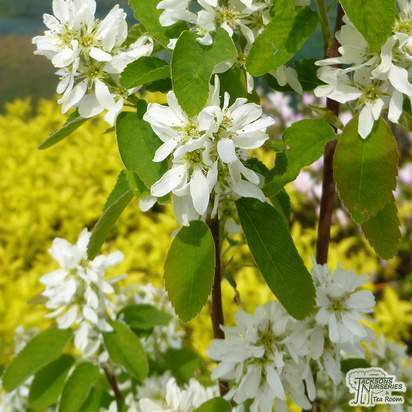 Most shrubs are tolerant of most soil types as long as it is fairly well draining. Most shrubs will grow happily in containers, but they will be much more demanding on feeding and watering than shrubs in the ground would be. They will also need potting on every couple of years so that they don’t suffocate or become stunted in their pot. 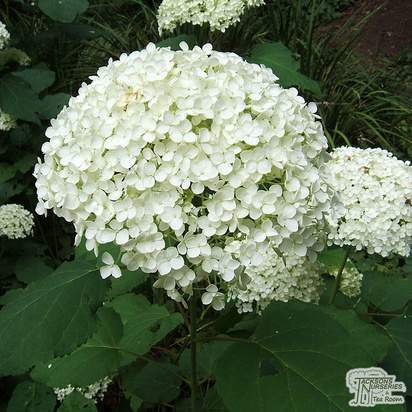 Once established, shrubs generally do not require much water. However, at first they need careful, frequent watering and should not be left to dry out. Shrubs in the ground are generally not demanding and in most cases, annual feeding with general purpose fertilizer will suffice. 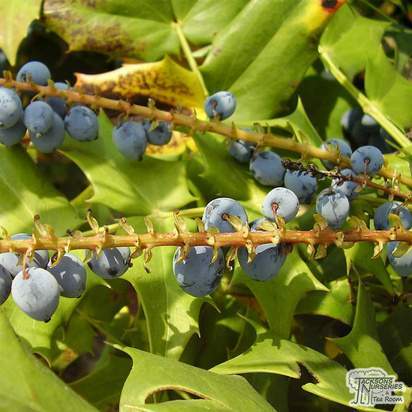 Shrubs in containers may need more feeding; usually from early spring until late summer. Shrubs also benefit from mulching in order to supress weeds, conserve moisture and provide vital nutrients. Mulch also greatly improves soil conditions. Shrubs can be mulched in late winter, after fertiliser has been applied, but it can be mulched through autumn to late spring as long as the ground is damp. All shrubs benefit from dead-heading once spent flowers become apparent. Rhododendrons and Lilac especially benefit from the removal of dead flowers. Some shrubs may show signs of reverted growth or ‘sporting’. This is where random shoots of different leaves associated with the plant’s parentage begin to appear. 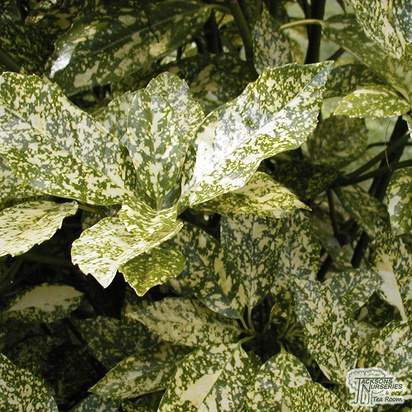 Most commonly this is where plants with variegated leaves sprout pure green growths instead of variegated ones. To control reversion, remove reverted shoots promptly to discourage them. 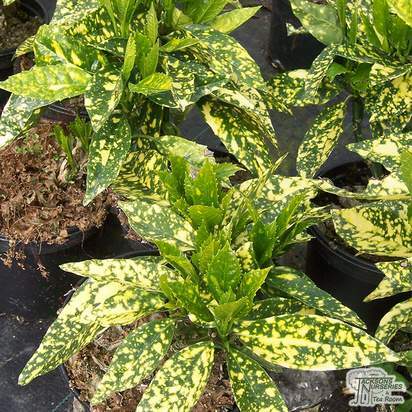 Reverted shoots are usually much more vigorous than the variegated ones, and thus should be completely pruned out and cut back into wood containing variegated foliage. 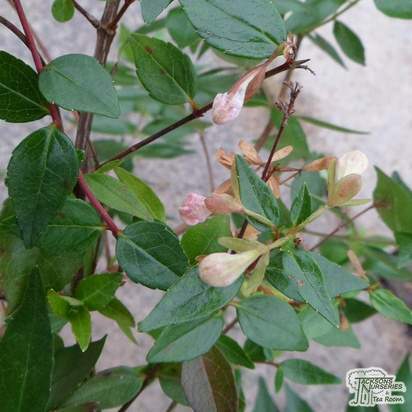 Although shrubs are usually very robust garden plants, they can sometimes start to decline with no apparent or obvious reason. This will start with browning leaves, which could indicate plant stress due to lack of water or waterlogging, an establishment failure or, in the worst case scenario, honey fungus. Another cause of leaf browning is a high salt content in the soil. This could be a natural occurrence, especially if you live near the ocean, or it could be from over fertilisation. 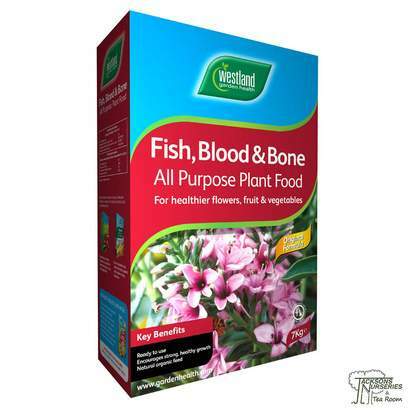 To remedy a high salt content, cut back on fertiliser and step up your watering regime for the next few weeks. If you live by the ocean, this will be harder to remedy—but stepping up your watering will help to wash some of the salt away all the same. Subscribe to our newsletter for special deals, exclusive offers, useful tips, helpful advice and more. © 2012 - 2019 Jacksons Nurseries.